Let’s just say you are a particular French mathematician and astronomer living in the early 1800′s. Through a series of unforeseen events, you have found your way from France to the fledgling country of America. What’s more, you have arrived at the very edge of the civilized world in St. Louis. Peering across the uncharted wilderness of the great unknown you make yet another leap of faith. Hired by the U.S. Government for your valuable skills, you embark upon a long and perilous journey which will bring you to many places still undiscovered by white men in the northern reaches of the recent Louisiana Purchase. Who are you? 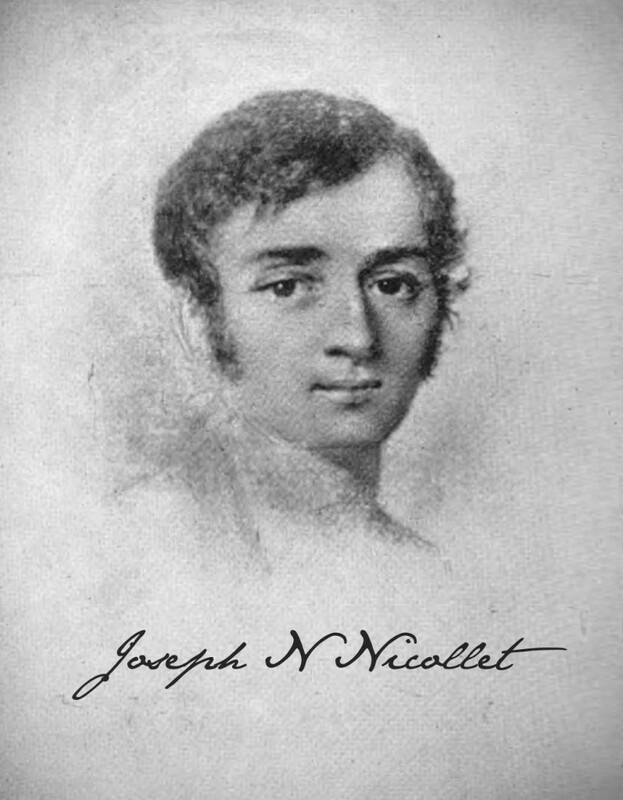 Why, you are none other than the great French-American explorer Joseph Nicollet. You are the famed mapmaker whose legendary work in the upper Midwest provided the roadmap for settling the region. Your name is memorialized throughout the Upper Midwest (perhaps you’ve heard of the town and county of Nicollet in Minnesota as well as the famous Nicollet Avenue and Nicollet Island in Minneapolis or the Nicollet Tower in Sisseton, SD). You are the man who was truly enchanted by the great ridge of rolling prairie hills between the Mississippi and the Missouri, which you called Coteau des Prairies (kuh-toe de PRAIR-EE), meaning ‘slope or hill of the prairie.’ The name stuck. For the last few years, you have traversed the untamed land today known as Minnesota. 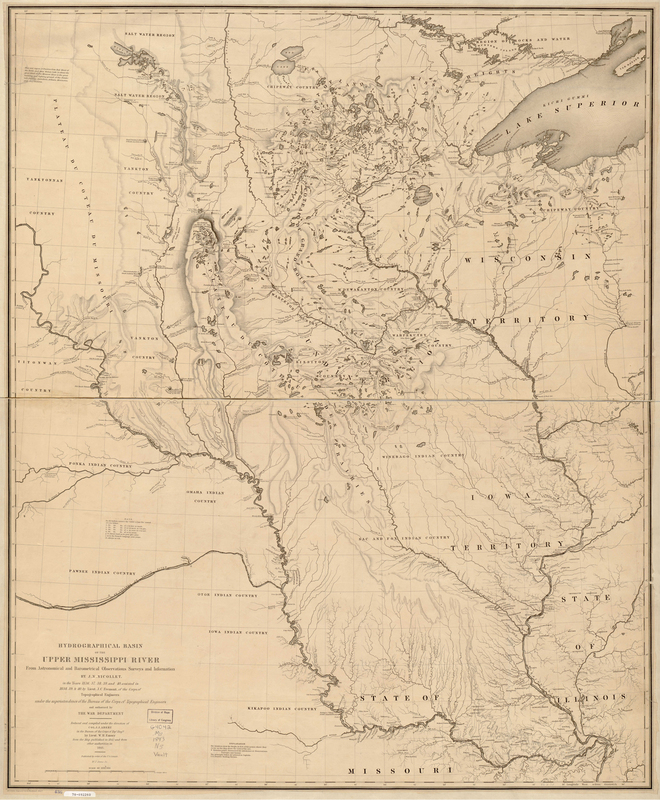 To date, you have made two full expeditions up and down the Mississippi River and charted amazing swaths of land. You think you have seen it all; great wooded valleys, endless strings of lakes, vast prairies, both friendly and unfriendly native peoples, abundant wildlife and let’s not forget the amazing temperature extremes! But it is not until you reach a fascinating place on the journey home of your final expedition that you have the opportunity to view the flat prairie the way you have dreamed of for years. In the distance, as you approach from the north you see a giant range of hills rising a thousand feet above the prairie floor. It is the Coteau des Prairies. You have explored the southern parts of it in on a previous expedition, but you have only heard rumors from the Sisseton people in that area of the magnificence of the head of the Coteau des Prairies. In awe, you take a moment to sketch the outline of the hills in your journal to capture the moment. Your journal contains drawings of flowers, animals, maps and people. Until now, the one thing it was missing was an impressive geologic landform (this landform would one day be the most prominent landform in your completed map, click on map for detail). While camped on the shores of Sprague Lake, 3 miles southwest of present-day Rutland, in your journal you write: “The head of the Coteau is very near us. It presents an imposing mass, beautiful to eyes which have seen nothing but plains and rolling plateaus. It is the Alps of this area.”1 But as it turns out, even the prairie perspective is no match for the view you see after a day’s journey to the top. A sweeping view of the expansive prairie takes your breath away as the cool breeze and warm sun delight your senses. You see the flat land you have been exploring for years now in a new dimension and the experience breathes a new joy into your adventure. As you continue home along the 200-mile stretch of the Coteau des Prairies towards St. Louis you long for another view as stunning as the view of the northern plains at the head of the Coteau. In time, you come to realize there is no other place like it. 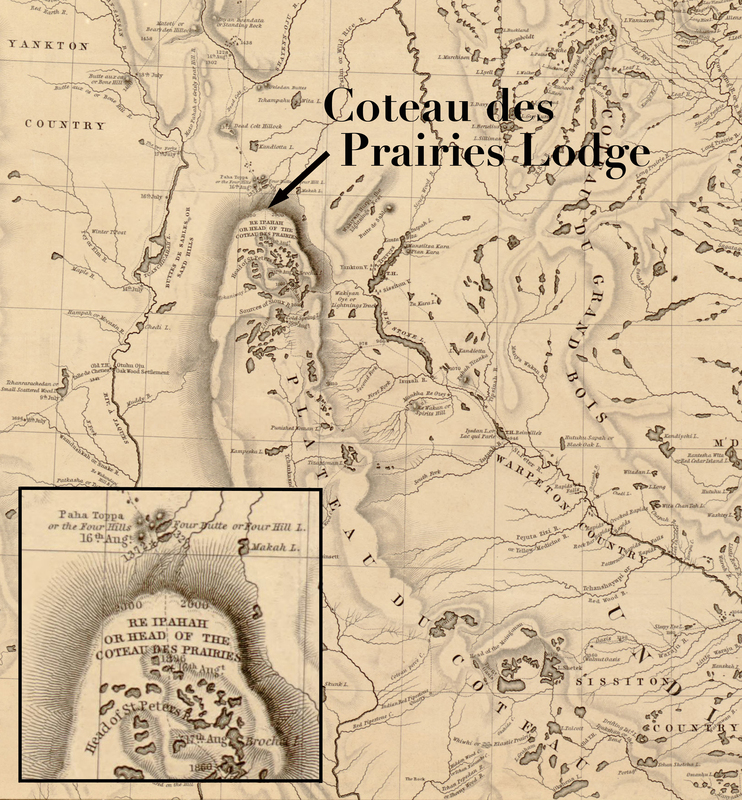 It is likely that 174 years ago, in 1839, Nicollet stopped at or at least passed through the very site where Coteau des Prairies Lodge is located. His journal and map indicate the path his expedition party took ran very close to the lodge site (click on map for detail, the faint dotted line signifies the path of Nicollet’s expedition). Judging by the prominence and height of the peak where the lodge is pearched one would consider it to be an ideal spot for someone such as Nicollet to gain the highest visibility for observations of the land. He very well may have enjoyed a crackling campfire under the boundless star spangled sky on the hilltop where now a cozy, rustic lodge is built. This early version of the Coteau des Prairies Lodge logo, created by Phillip Breker, was inspired by Joseph Nicollet and his travels. The old script style lettering is meant to appear as that of an early explorer such as Nicollet writing in his journal and recording his findings. And the hill line is of course an actual hand drawn representation of the Coteau des Prairies at the lodge site as seen from the prairie below the hills. It was meant to capture the spirit of the extraordinary explorers, pioneers and natives of this great land. Phillip, our media guy, has since updated the logo to reflect a more refined theme, but at the heart of our name remains the astonishing legacy passed on to us through the toils and triumphs of the great adventurers of ages past. Click here for a more in-depth article on the description and fascinating history of the Coteau des Prairies.